So today we (my parents) and I went to 3 NEW thrift stores in Southern New Jersey on the way to the Philadelphia Airport to drop my dad off. 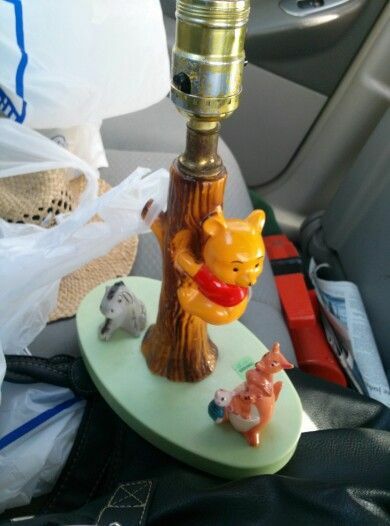 First was a Good Will, followed by Salvation Army and then a new one called "Red, White and Blue Thrift Store." 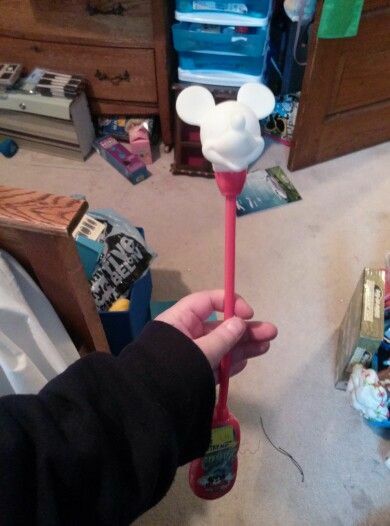 I found Disney items at all 3. 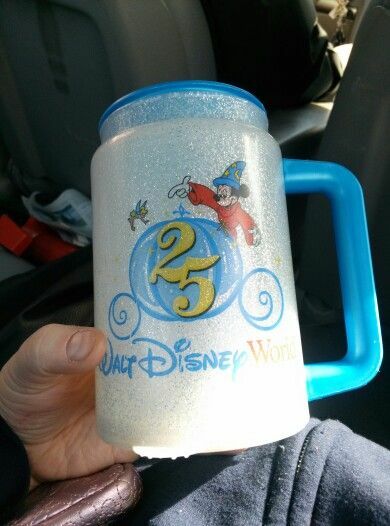 The first good Will, I found a vintage Pooh Lamp, and a 25th Anniversary Refill Mug. The lamp doesn't come with it's shade. I still don't know whether or not it works but I will try it out tomorrow. The second good will, we found 3 shot glasses / tooth pick holders. One from Castaway club, one from Test Track in Epcot and the 3rd was from Disney's Hilton Dog Head Island Resort in South Carolina (which I haven't heard of). 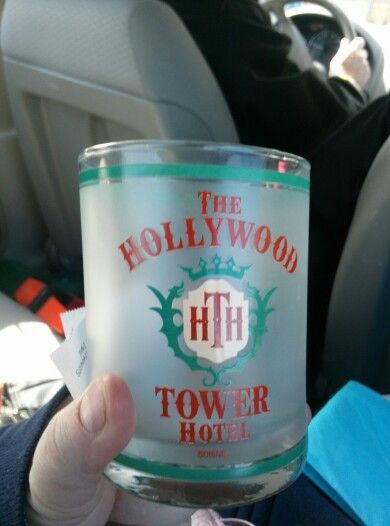 Then I found 2 Tower of Terror Glasses for $0.50 each. The 3rd I didn't buy much but I did find 2 snowglobes that were broken. The only thing I got was this Elf Minnie Mouse Plush. I forgot to post last week's findings which I will update here. I found 3 awesome findings. The first was a Strobe Light that goes from pink and blue. 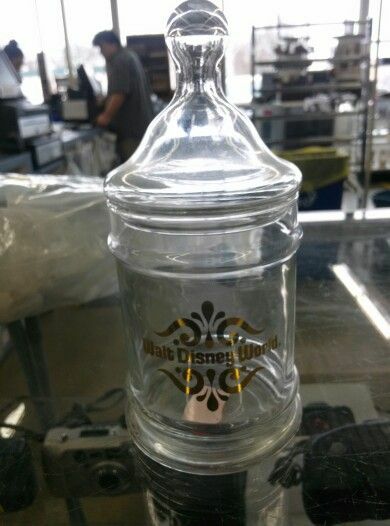 The second finding was a Disney World glass jar. I was stoked about this because I was thinking about getting plain one from Ikea but finding this was even better than the plain one. Awesome. Then the 3rd finding was an extreme lucky find. 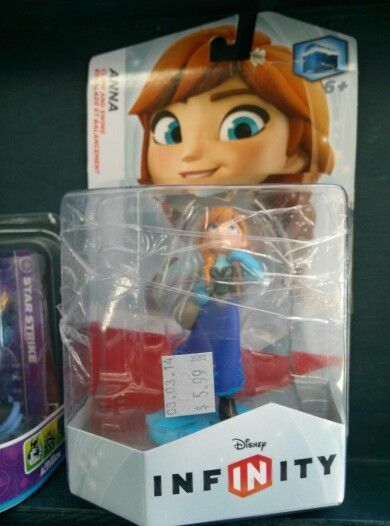 I play Disney Infinity somewhat and found one of the new Disney Infinity Frozen Characters. The only down side was that it does not have the trading card with her. But what matters is that I saved a few bucks on her. I pre-ordered the blu ray with the Elsa character so now I will have both characters. I also found 2 watches but I will show case them another time.